‘Reading is to the mind what exercise is to the body’. The school library promotes reading and inculcates the discipline of self study amongst students.The collection of books and CD’s in the school library range from short stories , poems, adventure stories, General knowledge, General Science, History, Geography, Mathematics, Games and Sports, Language, Art & Craft, Encyclopaedias etc. 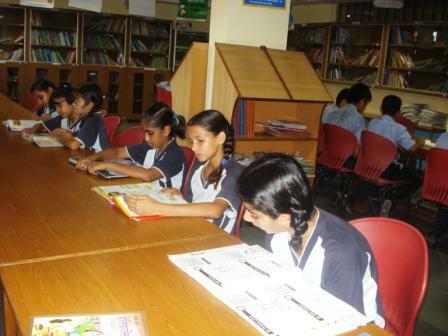 The students of the school are encouraged to develop the habit of reading. 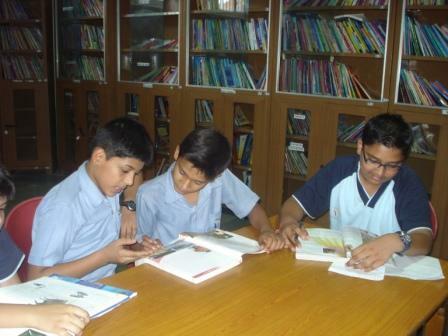 They are given opportunities to explore, share and complete projects planned in their curriculum. 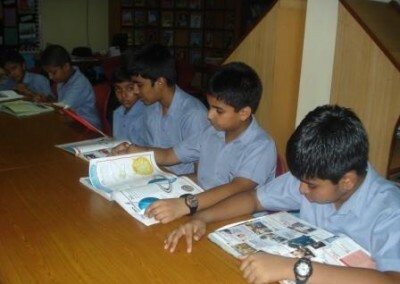 The ‘Reading Club’ of the school enhances the reading skills of the students.The concept of ‘Reading Ladder’ has been introduced as a systematic approach to develop reading skills. 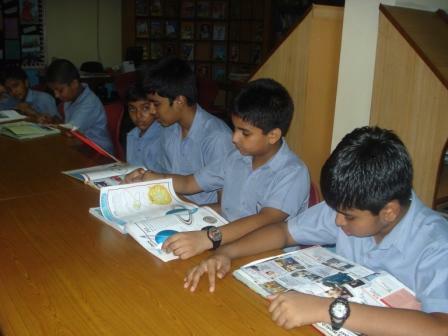 ‘Class Reading Corner’ is another attempt to encourage the habit of reading as well as inculcate the habit of exchange of books amongst the students.They bring books from their class reading corner and thus create a library of their own. 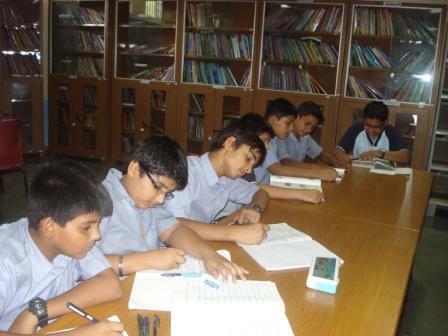 The School has a library committee, which constantly suggests and reviews new arrival of books and periodicals. The library remains open for students and teacher from 8:00 am to 4:00 pm.